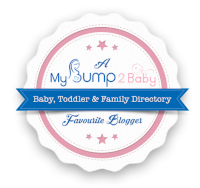 All of the content within this blog The Leicestershire Mama is written by me, Keira Pratt. All opinions shared by me are 100% honest and are my own. All content, photos, information and views on this blog are my own and belong to me unless otherwise stated and is my responsibility. It should not be edited, copied or used without my permission. There are no rights, warranties and guarantees within this blog. At the time of posting the information on this blog it is accurate. I try to ensure this as much as possible but I cannot guarantee that it could change in the future. The opinions expressed are my own but they may change. Therefore, more recent posts may have different opinions to previous ones that I have shared. Most products I purchase on this blog The Leicestershire Mama is with my own money, I do however accept products in exchange for reviews. I also accept sponsored posts for payment and collaborations. All the above posts including gifted products or PR samples will include a disclaimer at the end of each post. All opinions are honest. I do not accept products I would not purchase with my own money. I am not a healthcare professional so whenever I publish posts of advice, they are my own so I cannot be held liable for any damage as a result of following the advice.